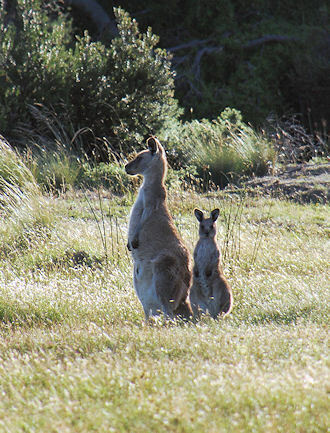 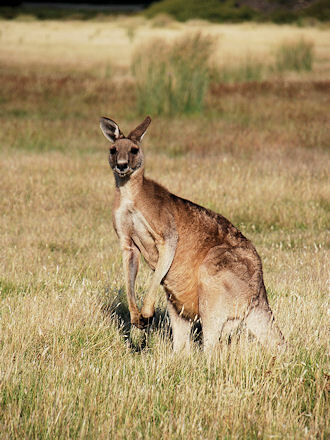 The Eastern Grey (Macropus giganteus) is a fairly common kangaroo, one may come across them on almost any grasland. 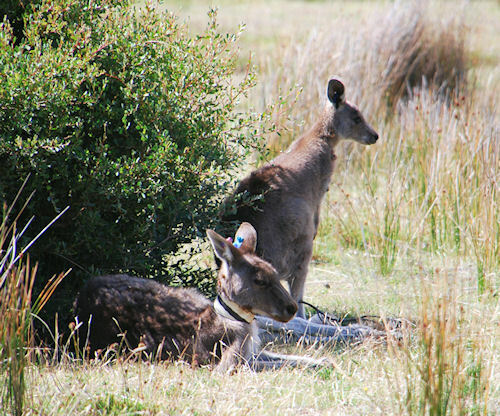 Only in Tasmania, the habitat is not that suitable for them. 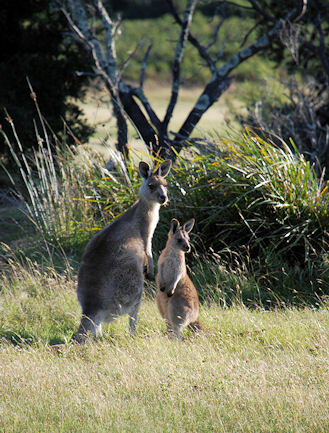 If one wants to see them there, Narawndapu NP is the place to go. 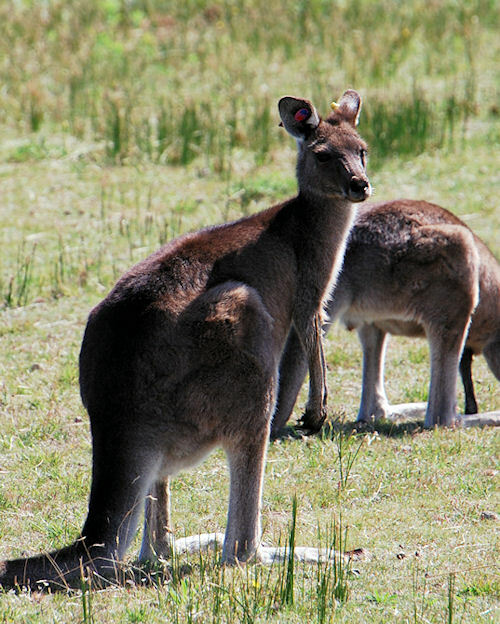 Please mind, in Tassie the same species is called a Forester Kangaroo. 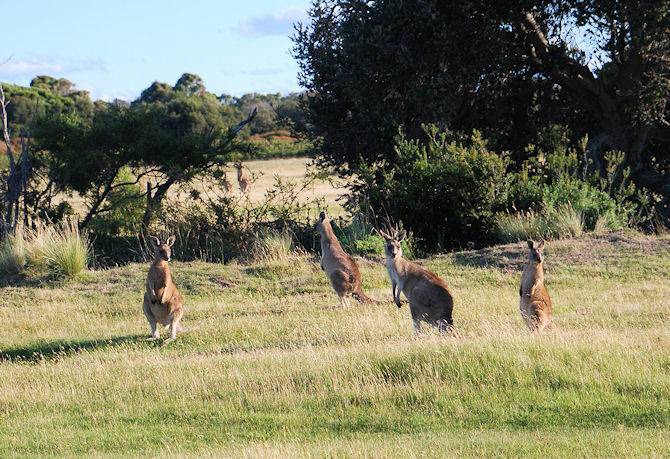 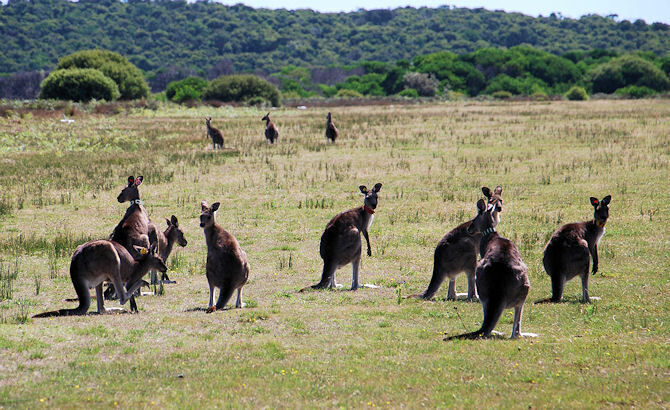 Compared with Europe, all Australian animals are fairly tame. 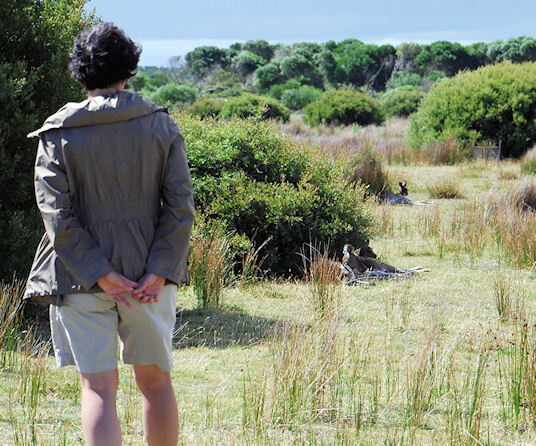 Sometimes, one can approach perfectly wild roos up to few metres.